So the idea of a film exploring the relationship between these two great figures certainly seems promising. With the drama "Paul, Apostle of Christ" (Sony), however, only part of that potential is realized. Writer-director Andrew Hyatt's somewhat flawed script fleshes out the bare bones available to us from the canonical sources with believable human details. But it unwisely presents famous verses and, indeed, whole passages of Scripture as deriving from Paul's spontaneous conversation. The story gets off to a sufficiently dramatic start. In the wake of the Great Fire of Rome in A.D. 64 — which the Emperor Nero notoriously blamed on the followers of Jesus — Christians are being subjected to a massive persecution and Paul (pleasingly sonorous James Faulkner), as their most prominent leader, has been arrested, tried and condemned to death. Thus Luke (Jim Caviezel) is taking a huge risk when he resolves to return to the Empire's capital and visit Paul in his cell at the Mamertine Prison. 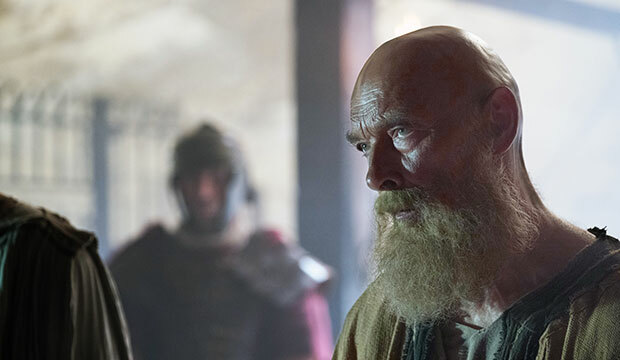 Fortunately, he has the help of two early Christian leaders mentioned in the Bible, husband and wife Aquila (John Lynch) and Priscilla (Joanne Whalley). Though Paul rejects any notion of violent resistance, he is reluctant to give orders about whether his fellow Christians should stay or go. Instead, he and Luke eventually strike on the idea of recording Paul's conversion and their missionary travels together, along with other events, in the text that will become known as the Acts of the Apostles. For a different reason, Luke's nascent history is of interest to Paul's chief jailer, Prefect Mauritius Gallas (Olivier Martinez). An essentially humane man torn between the rigor with which he is expected to deal with his captive and his vague attraction to the transcendent values of the Gospel, Mauritius is perplexed by Luke's curious behavior in sneaking into his prison. Mauritius is obviously meant to serve as a foil for the two disciples and as a target for persuasion. But the dialogue among them is less than convincing and, with at least one exception, poorly calculated to hold the audience's attention as well. 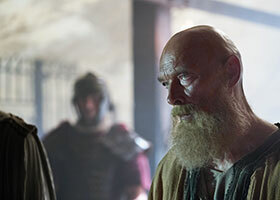 Catholic viewers will appreciate a scene in which Paul celebrates the Eucharist and gives Luke Communion as well as the way those facing slaughter in the arena prepare themselves by reciting the Our Father. In fact, "Paul, Apostle of Christ" works better as an easy and enjoyable introduction to its two central figures' lives and works than it does considered strictly as a piece of cinema. As a valuable resource for catechetical instruction, moreover, the movie makes acceptable and worthwhile fare for teens, despite its unsparing, albeit momentary, presentation of the sufferings to which Paul himself and many of his contemporaries in the early church were subjected.